And as the sun goes down in the evening, the sky is awash with breathtaking hues of pinks and reds giving way to a stunning dark blue sky filled with thousands of twinkling stars. This was the vision I will always remember from our first evening in Arizona. 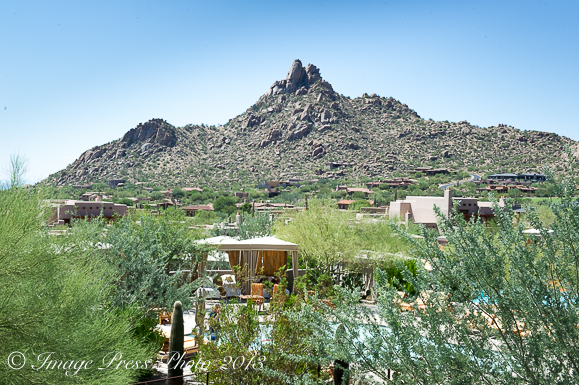 The Four Seasons Resort Scottsdale at Troon North was the first stop on a two-week long journey through Southern Arizona in search of special destinations and unique Southwestern dining experiences. It was also the first place I fell in love with the sunrises and sunsets in this gorgeous part of the state. 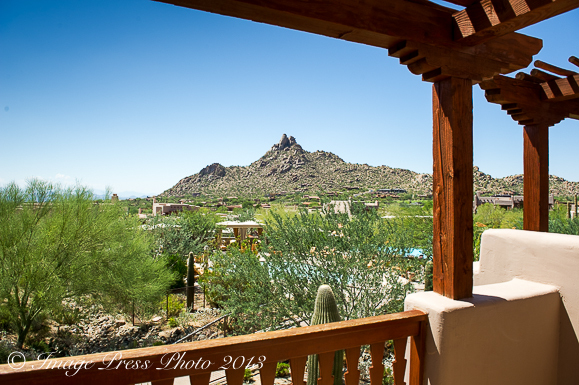 Built on 40 acres in the foothills of Pinnacle Peak in the high Sonoran desert, this AAA Five Diamond Award luxury resort is truly an oasis in the desert. Most recently, the resort and its signature restaurant, Talavera, were awarded four stars by Forbes Travel Guide. 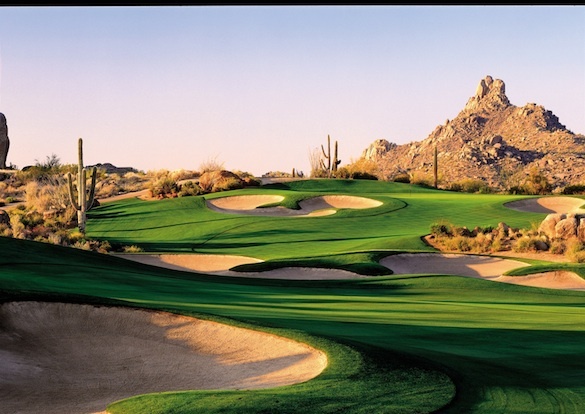 For golf lovers, Troon North Golf Club boasts the #1 and #2 rated course in the state of Arizona and two of the best courses in the country, The Pinnacle and The Monument. 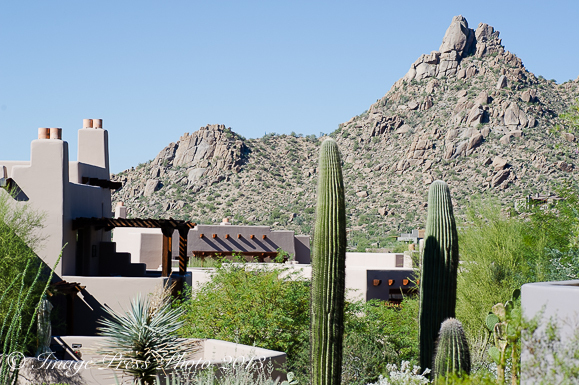 The Four Seasons Resort Scottsdale is located on what was once a private property, Crescent Moon Ranch. 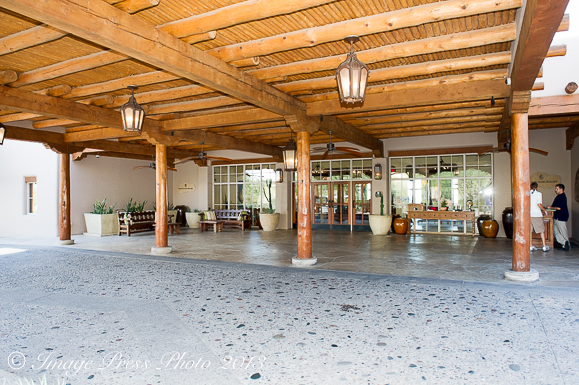 At the request of one of the former owners, the developer worked with the family to maintain the dignity of the ranch and build the resort in such a way that it would blend in with the natural beauty of the desert. 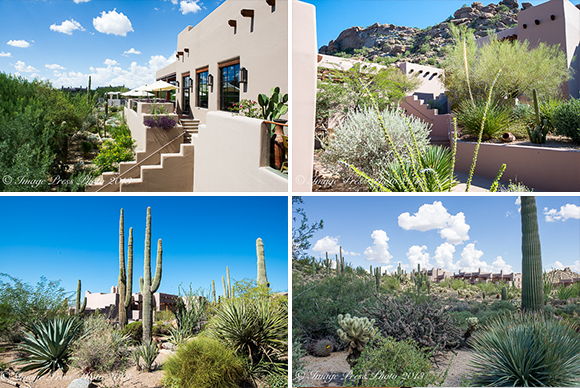 They achieved this goal with the Southwestern theme in the decor and buildings that harmonize perfectly with the surrounding land. 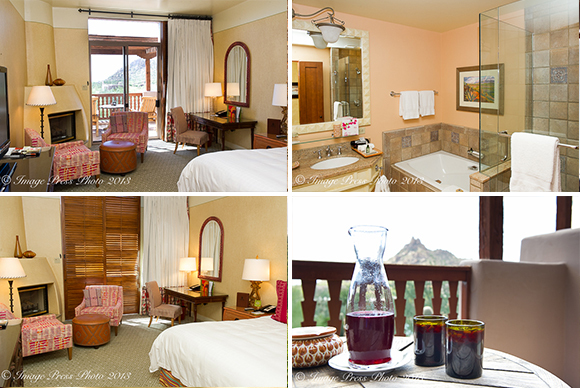 Adobe-style casita accommodations are spread throughout the resort as you wander the winding paths from the main building and lobby area to your room. The elegant guest rooms and suites which are housed in two-and three-story buildings, create a unique feel and sense of privacy. 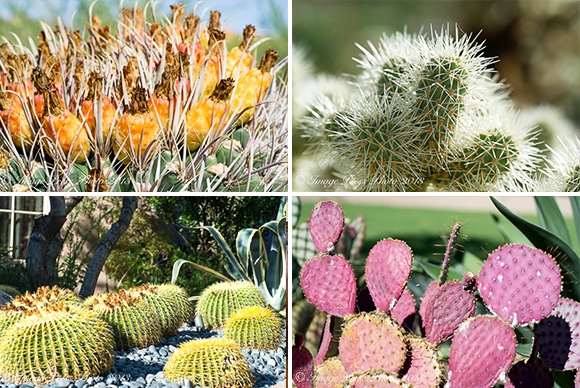 Several varieties of cacti, brightly colored desert flowers, and plant life grace the pathways. 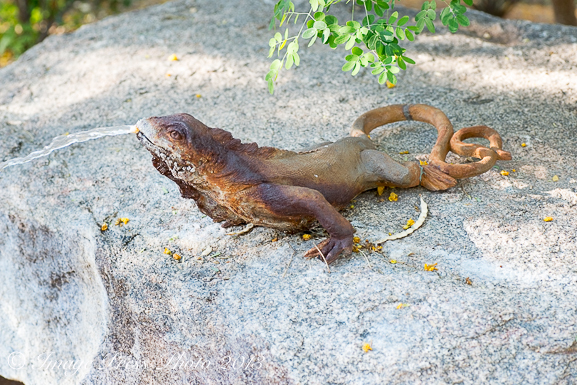 Sightseeing around the resort is one way to spend some time during your stay, but there are numerous other activities to engage in throughout the day. The mac sounds great! Assuming the thyme and olive oil are meant for use on the steak? Yes, the oil and thyme are for the steak and I added to rub the meat with both in the recipe. Thank you. I’m excited I found this post. We live only about 10 minutes from there and I did NOT know this was a source for grass fed beef dinners and organic produce. Thanks!